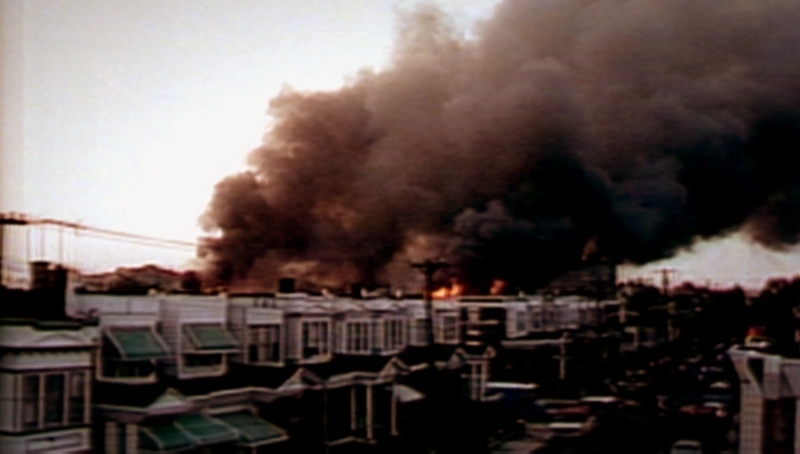 Jason Osder's Let The Fire Burn (2013) transports us back to Philadelphia in 1985, when police officers surrounded and dropped explosives on 6221 Osage Avenue, killing 11 people and destroying more than five dozen evacuated homes. Their target was the headquarters of MOVE, a liberation group that, in just over a decade, had morphed from an anti-technology "back to nature" body to a radical threat to its own neighborhood, complete with reinforced bunkers and a rooftop lookout for shooters. MOVE was founded and led by Vincent Leaphart, who renamed himself "John Africa"; in turn, his followers changed their surnames to match. 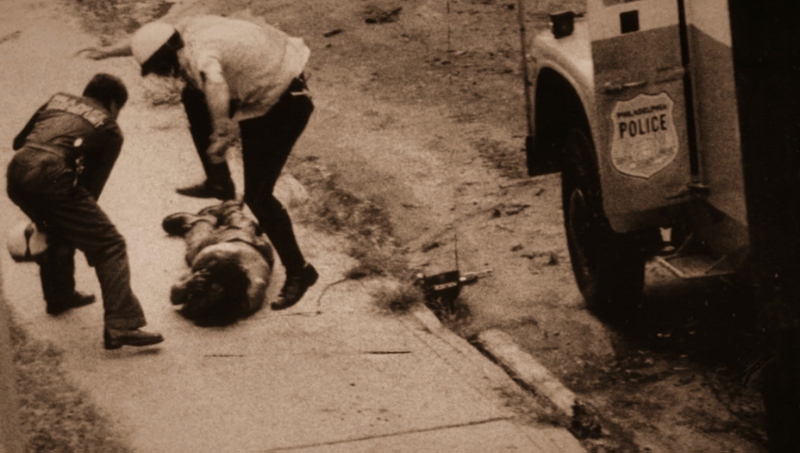 In 1978, a confrontation with police led to the death of an officer and nine MOVE members were imprisoned for the crime. Sadly enough, this "swift justice" served as a microcosm for what was to come. Through a formidable amount of archived video footage, Let The Fire Burn recounts the group's brief history, the controversial stances they took and, of course, the day when an entire square block was destroyed. Prepare yourself for loose ends, however, because Let The Fire Burn doesn't answer many questions. During a late 1985 committee hearing about the incident (seen during the film), representatives from both sides can't help but talk in circles. John Africa's teachings are never detailed, he's only seen once during a brief on-the-street news interview, and the constant finger-pointing of the police department all provide frustrating roadblocks to a clear picture. It's blatantly obvious that both sides were at fault on different occasions---in fact, much of it was recorded on video---and for that alone, Let The Fire Burn plays out like anything but an open-and-shut case. Either way, the film's effectiveness hinges largely on its structure, allowing the central timeline to unfold while retrospective testimony (from the committee, as well as the deposition of the lone child survivor) helps to change the rhythm a bit. There is no voice-over narration, no re-enactments and no recorded footage post-1985, dropping us completely in the middle of everything as it happens. The result is a documentary that's entirely compelling from start to finish, regardless of your age or distance from the city of Philadelphia; we all get the same front row seats. Let The Fire Burn is at once a scathing, layered look at the cause of, and response to, a volatile urban time bomb that inevitably ended in death and destruction. The resulting legal stalemate deepens the mystery, as does the realization that most of MOVE's members died during the raid and the lone child survivor (Michael Moses Ward, AKA "Birdie Africa") passed away last year on a family vacation. In fact, it's likely that we'll never get any definitive answers. For these reasons alone, Let The Fire Burn feels more like a cautionary tale than a full-blown investigation...but either way, it's as relevant now as it might have been almost 30 years ago. Let The Fire Burn arrives exclusively on DVD courtesy of Zeitgeist Films and it's obvious that a certain amount of care went into the package. The A/V presentation is good enough, though at least one personal reservation keeps this from scoring higher...and as for the extras, they're limited in number but appropriate. Simply put, this is a fairly well-rounded package that, on the strength of the main feature, is a strong candidate for one of year's best documentary releases. 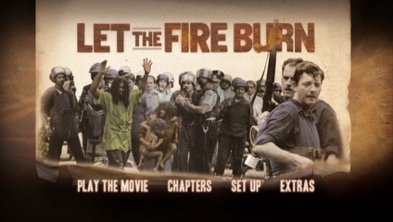 It's tough to give a definitive visual grade to documentaries like Let The Fire Burn, mainly because it's comprised of vintage photographs and a mixture of consumer and professional-grade videotape sources. There is no shortage of imperfections native to the source formats including a general lack of image detail and texture, as well as occasional tracking lines, bleeding colors and blown-out contrast. Yet other portions are in remarkably excellent shape, especially during the committee hearing footage peppered throughout the film. Photographs are in good condition as well. My only objective complaint---and it's kind of a big one---is that the native 4x3 footage has been cropped to fill 16x9 screens, which includes every video frame from start to finish. This decision was clearly the director's intent and I'll also admit that nothing of extreme importance seems to have been lost in the process...but given the format limitations, it does nothing but amplify existing problems even further. Let The Fire Burn is watchable, but don't set your sights too high. DISCLAIMER: The screen captures featured in this review are strictly decorative and do not represent this DVD's native 480p resolution. Likewise, the audio is also limited by its source material but doesn't suffer quite as much. Presented in your choice of Dolby Digital 5.1 Surround of 2.0 Stereo, either option is essentially a front-loaded experience. The latter, of course, expands the original music by Christopher Mangum and, on rare occasions, lets some of the chaos spill into the rear channels as well. Either way, this dialogue-driven production features no recent narration and, for the most part, sounds fairly clear despite obvious limitations of certain scenes filmed as they happened. Thankfully, optional English subtitles have been included during the main feature, which should clear up a handful of scenes that don't fare as well. Seen above, the static menu interface is simply designed and loads quickly. This one-disc release is housed inside a standard clear keepcase and includes attractive two-sided artwork and a helpful Booklet with an event timeline and director's statement. Though not advertised on the packaging, the disc appears to be locked for Region 1 players only. Just a few, but they're appropriate and informative. Leading off is 15 minutes' worth of Interview Footage with the late Michael Moses Ward (AKA "Birdie Africa") recorded in 2003. Originally planned to be part of the main feature, it was later sidelined after the decision was made to create a more streamlined, "you-are-there" experience. A tough decision to be sure, but definitely the right one. Either way, this footage is extremely valuable in hindsight and certainly worth a look. Also of interest is a Q&A Session with director Jason Osder recorded on November 22, 2013 at The Sanctuary for Independent Media in Troy, NY. Running just under 45 minutes, this post-screening discussion features a handful of interesting comments on both sides. Osder fields most of the questions admirably despite a number of attempted hijacks by passionate crowd members (including a 58 year-old former activist)...but considering the source material's volatility, it's a relatively polite session overall. I'd have appreciated optional subtitles on this supplement as well, but they're nowhere to be found. 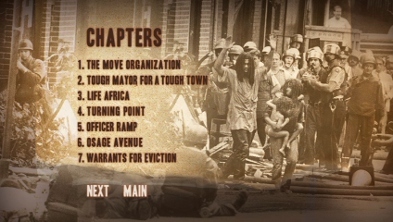 Closing out the bonus features is the film's Theatrical Trailer, which runs just over 2 minutes. Without question, Let The Fire Burn is an effective, smoldering examination of a notorious event that still doesn't offer any concrete answers. It's painfully obvious that both sides were clearly at fault on different occasions, from MOVE's button-pushing tactics to the heavy-handed raid of their headquarters. The film itself serves up a wealth of archival footage and a structure that unfolds with energy to spare. Zeitgeist's DVD package offers a passable A/V presentation (though any lingering complaints aren't the fault of the disc) and a pair of valuable supplements. 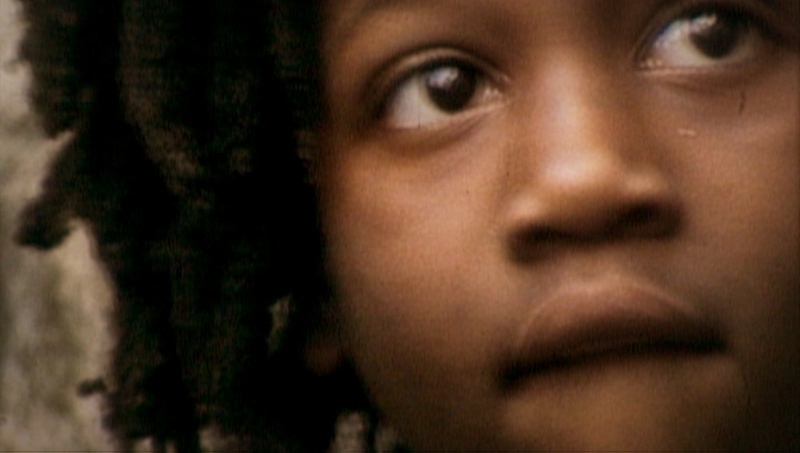 Combined with the main feature's inarguable strength, it's an easy pick for supporters of the documentary genre. Highly Recommended.